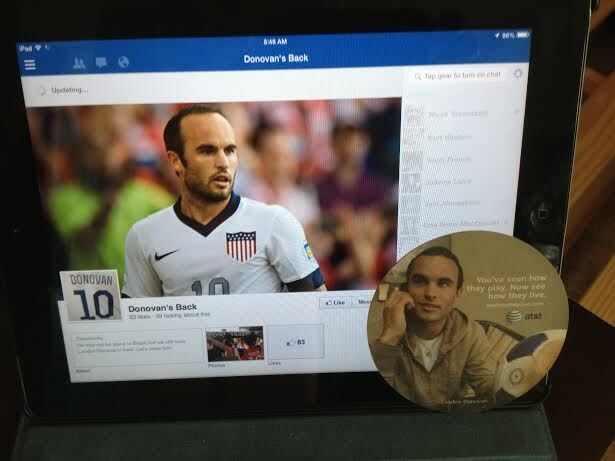 Do you have Landon Donovan’s back? Since I don’t have a Donovan Galaxy shirt (but I do have a Beckham one, go figure). I uploaded the above photo on the basis a 2006 Landon Donovan promotional World Cup coaster should suffice (guess there won’t be one this year). The timing of the Riot Squad effort is apt, too, given tonight’s premier of a Landon Donovan special you can see a video clip of below. Here’s more from the press release: This Friday at 8:00 p.m. PT, Time Warner Cable SportsNet will debut “Landon Donovan: Galaxy of Goals,” a half-hour special celebrating the LA Galaxy icon’s record-setting 136 career Major League Soccer (MLS) goals. Donovan became the all-time leading scorer in MLS history during this past Sunday’s LA Galaxy game on Time Warner Cable SportsNet when he scored his 135th and 136th career goals. “Landon Donovan: Galaxy of Goals” features an in-depth, one-on-one interview and exclusive behind-the-scenes moments with the Galaxy forward, special congratulations from his teammates and a recap of all 136 MLS goals in less than four minutes. Time Warner Cable SportsNet LA Galaxy sideline reporter Kelli Tennant hosts the special. 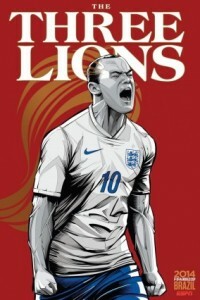 England plays Peru today in a World Cup warm-up fixture live at noon on Fox Sports 2. 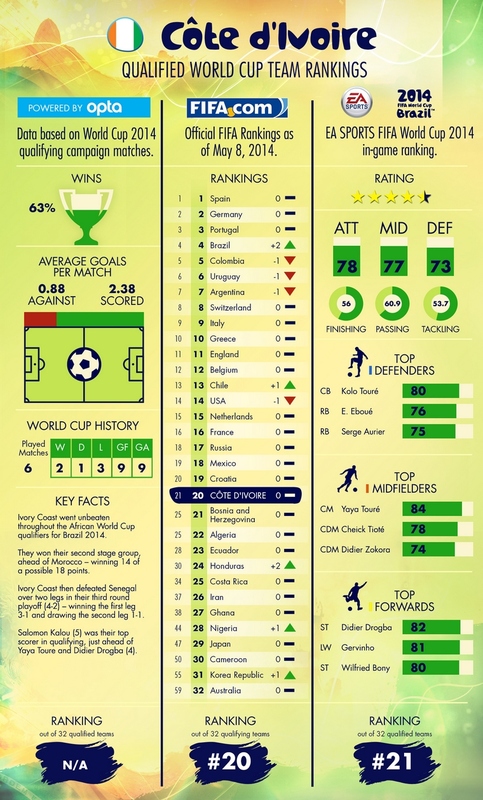 The official FIFA World Cup preview page is here. Few England fans or media observers (pessimists even at the best of times) are giving the nation much chance of adding to its solitary 1966 World Cup title in Brazil so at least the pressure is off. But unlike the U.S., World Cup rosters spots are still at stake, so individual players are feeling the pressure and must perform today. 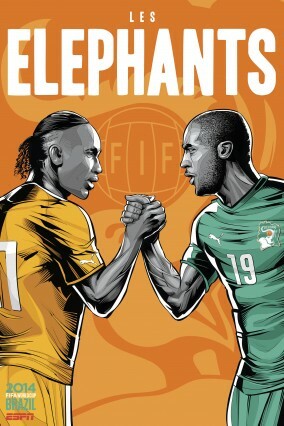 Will the third World Cup appearance for the Ivory Coast be the charm and allow the highest-ranked African nation to make it out of the group stage for the first time? The nation certainly has plenty of familiar names either peaking or making what is their last likely World Cup appearance including past and president EPL stars such Didier Drogba and Yaya Toure. 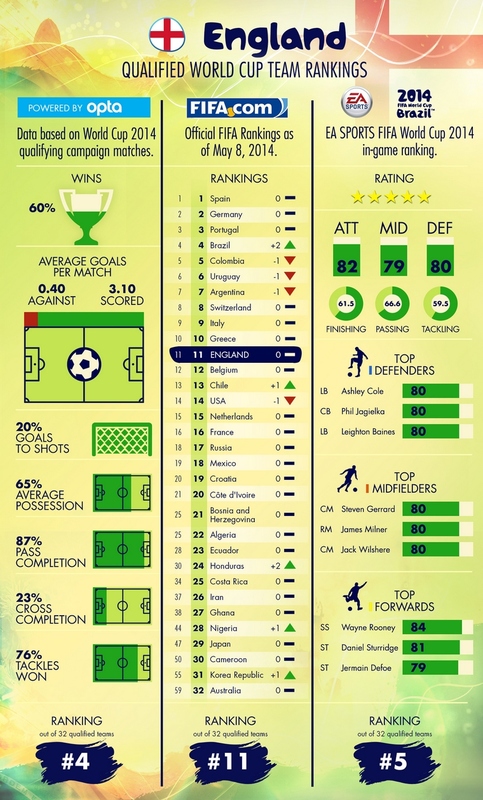 The official FIFA nation profile is here. The Ivory Coast plays Bosnia-Herzegovinia at 5:20 p.m. Friday on BeIN Sports. Chivas USA’s season is once again falling into an abyss as the bottom club in the Western conference lost to the Portland Timbers, the club directly above them in the MLS standings before a tiny crowd Wednesday night at SubHub Center. Meanwhile, the Galaxy learned their U.S. Open Cup opponents, although the reserve squad crashed out of the tournament on penalty kicks to amateur opposition from Orange County. Scottish second division side (yes, you read that right), Glasgow Rangers will play the minor league Fusion in July in Ventura. Finally, that USMNT camp in the Bay Area? It’s over. 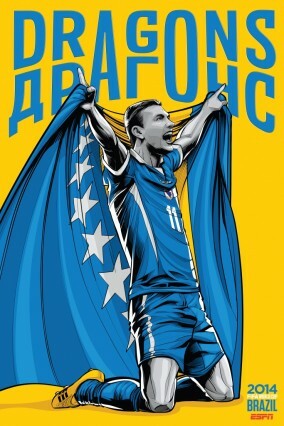 Bosnia-Herzegovina plays a pre-World Cup friendly against the Ivory Coast at 5:20 p.m. Friday on BeIn Sports. 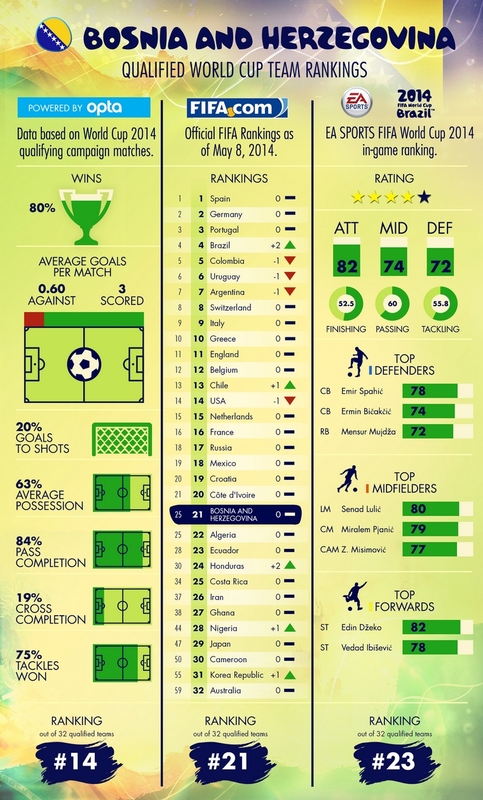 The official FIFA profile of the nation is here and here’s more from Wikipedia on the nation’s soccer history. A preview of Friday’s game is here. (Poster image courtesy of ESPN). Not only will Chivas USA play a game in the main stadium, but the LA Galaxy II will play a U.S. Open Cup game at 7:30 p.m. in the track and field stadium against amateur team PSA Elite, with the winner facing the Seattle Sounders in the next round. Tickets are $5. 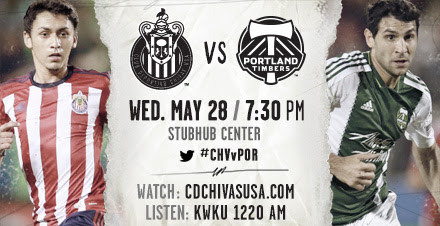 With Mexico on television at 6 p.m. against Israel, it will be interesting to see how many people show up for a midweek Chivas USA game, especially one between two teams that have a total of four wins between them and are both sitting at the bottom of the Western Conference. The U.S. World Cup team made unnecessarily hard work of breaking down a sub-standard Azerbaijan team that boasted an inert offense and inept defense, as reporter Elliott Almond wrote in his game story for our sister newspaper the San Jose Mercury News. The game was not a pretty sight as a scant three and a half minutes of video highlights would suggest and while some players insisted the U.S. doesn’t need to be peaking yet and the performance was “fine” the unconvincing display didn’t bolster hopes that the U.S. is capable of advancing out of the group stage in Brazil. The U.S. looked far from ruthless against a team it should have easily ripped asunder, which again hardly bodes well given the quality of opposition the U.S. will face at the World Cup. Which reminds me: Nigeria, the U.S. opponent in the last of the three World Cup tune-ups scheduled before the USMNT heads south, plays Scotland at noon on GolTV. Mexico plays Israel tonight at 6 p.m. on ESPN2. 1. Much was made of the diamond midfield formation coach Jurgen Klinsmann employed last night. The bigger and much more basic question: Is Michael Bradley, who was positively ordinary against Azerbaijan, as much of a creative force without Landon Donovan in the lineup, either to take pressure off him or as an offensive foil? 2. If Klinsmann really considers Donovan a forward rather than a midfielder, how was the punchless Jozy Altidore, who spent the game displaying why he had an ineffective season in the EPL, ever considered “ahead” of the Galaxy playmaker in any respect? 3. There was no disputing the U.S. effort, but where was the flair, those moments of unpredictability that can turn a game? It’s easy to score from a set piece completely unmarked, it’s quite another to make something out of nothing. Does the U.S. roster have those sorts of players especially when Clint Dempsey is injured and out of the lineup? ESPN Ad: Where (and when) are you going to watch the World Cup? Which are the basic questions asked by the latest ESPN World Cup spot, dubbed “Time Zone” as it follows how fans around the world. And that’s a question we’re asking a lot these days, too, with just over a couple of weeks to go until the tournament begins as was noted in the 100 Percent Soccer column a couple of weeks ago. We’re getting plenty of suggestions, too. How about an old movie theater? Can it get any more Tinsel Town than that? You tell us (and we’ll tell readers). Our colleagues at sister newspaper the San Jose Mercury News have the game preview of the friendly against Azerbaijan (live at 7 p.m. on ESPN2). There’s much more on their new World Cup blog.